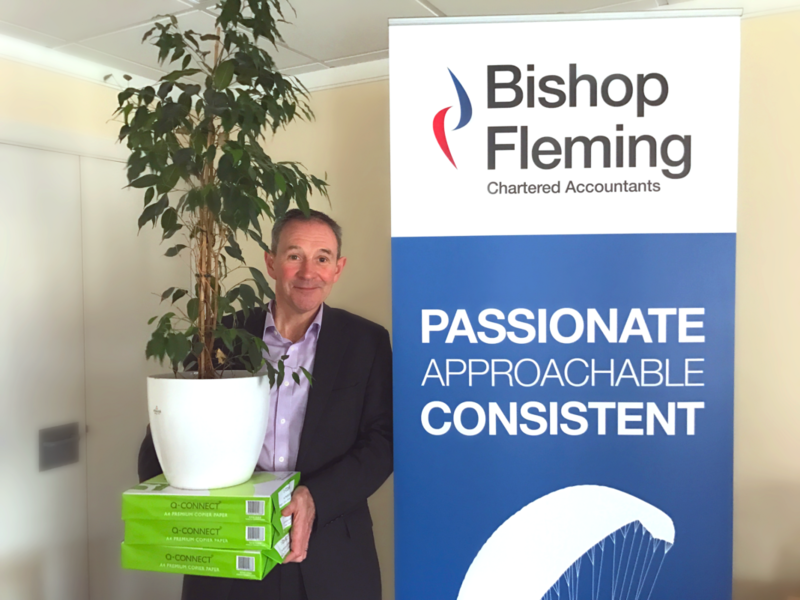 Bishop Fleming’s green credentials have been boosted by a huge reduction in paper consumption, saving the equivalent of 104 trees a year. A one third drop in paper usage has been achieved, even though the firm is one of the fastest-growing accountancy practices in the UK. Since introducing an Environmental Management System six years ago to measure three key performance indicators – electricity and gas usage, mileage, and paper ordered; overall environmental performance for the firm is getting greener. Alongside the notable reduction in paper usage, due in part to the firm’s continued investment in IT, electricity and gas usage have also been lowered as well as the firm’s mileage. Bishop Fleming’s seven offices cover a wide geographical area from Worcester to Truro, but through increasing use of Skype and telephone conferencing, reducing inter-office miles remains a key priority. Ewan McClymont, director at Bishop Fleming, commented: “Environmental credentials are becoming increasingly important in gaining new clients, and our ability to measure these metrics is an important factor in a competitive market. Bishop Fleming employs 325 staff, is part of the Government’s Energy Savings Opportunity Scheme, and is a member of Low Carbon South West.